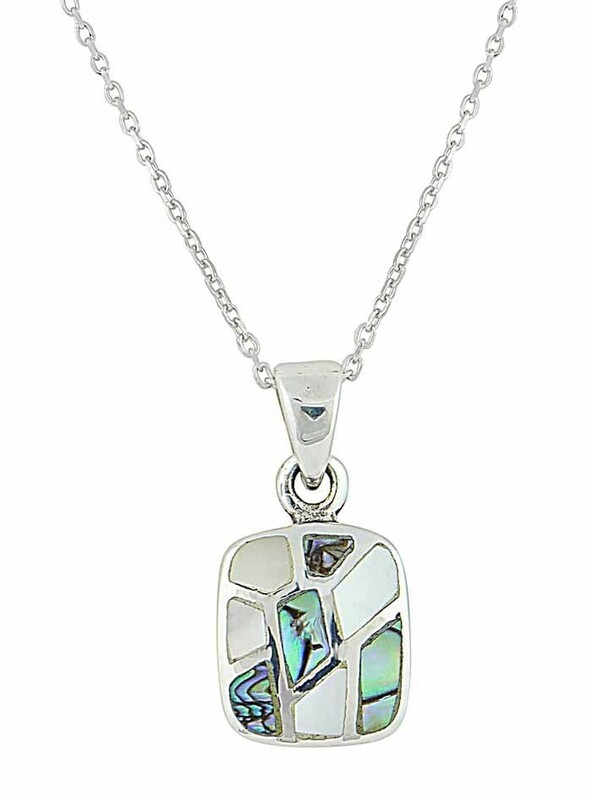 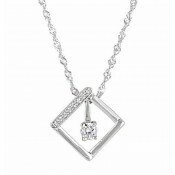 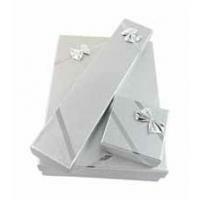 Truly unique, this square sterling silver pendant is one that simply cannot go unnoticed. 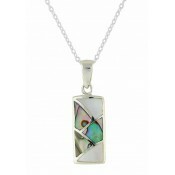 The polished base features a unique mosaic design that has been decorated with multi-tonal Mother of Pearl accents. Capturing the light in a unique manner, it stands out beautifully from plain tops while adding detail to any outfit.